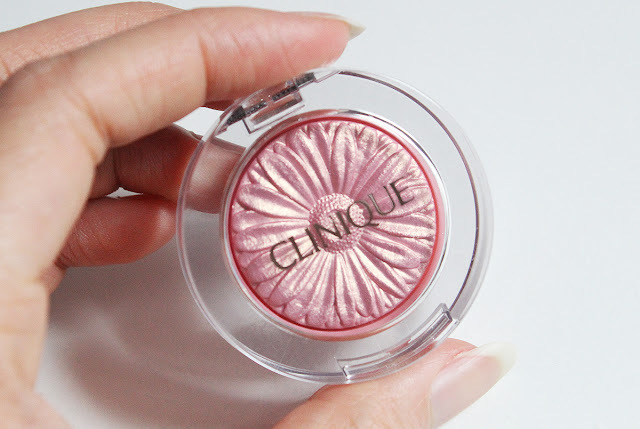 The Clinique Cheek Pop blushes put the brand back on the map in terms of makeup but it was the Lid Pop eyeshadows that caught my eye. I was particularly intrigued by the shade Petal Pop because it was reminiscent of Clinique's Strawberry Fudge, my favorite rose gold eyeshadow which I recently decluttered since it was so old. I read a few lukewarm reviews about the Lip Pop shadows because they're apparently quite sheer but Bloomingdales was having a gift with purchase of a mini Chubby Stick Shadow Tint with any Clinique purchase so I went ahead and placed my order without having swatched Petal Pop myself. The Clinique Lip Pops are $17 and contain .07 oz (2 grams) of product. These are the kind of "gelee" powder formulas that feel stiff but silky smooth. The Lip Pop eyeshadows are housed in a clear plastic compact that snaps shut like the Cheek Pops but a bit smaller in size than the blushes. The product itself has a flower imprint which I think is typical for this kind of powder formula because it helps you pick up the pigment better. I personally love the packaging for its practicality and the cute factor is not too over the top. 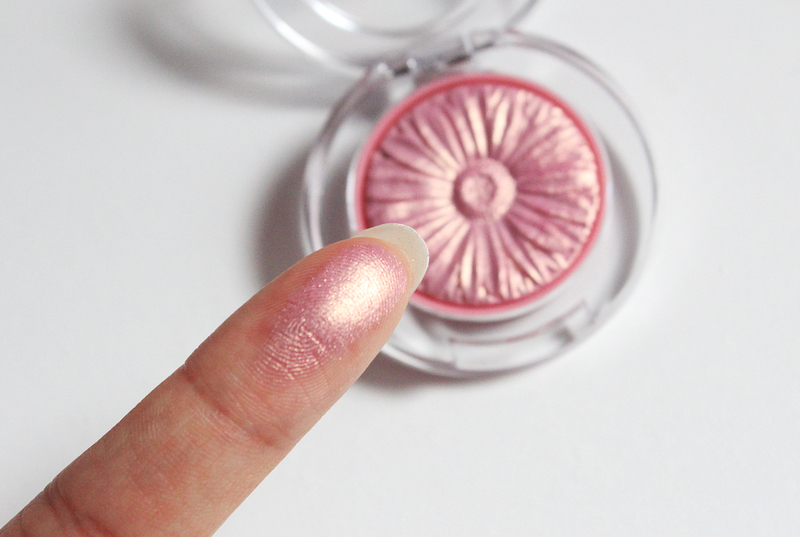 When swatched on the finger, Petal Pop looks as it does in the pan, a wonderfully glowy pink with a golden sheen. I would recommend applying this shadow to the lid with your fingers because that will be the best way to get the pigment to really show up and adhere to the skin. When applied with a brush, the shadow is much more subtle. I think that's why some people were disappointed in this formula but I personally don't mind using my fingers to apply this since the effect is really gorgeous and hard to imitate. I've tried for a long time to find a close dupe for Clinique's Strawberry Fudge and this is the most spot on. 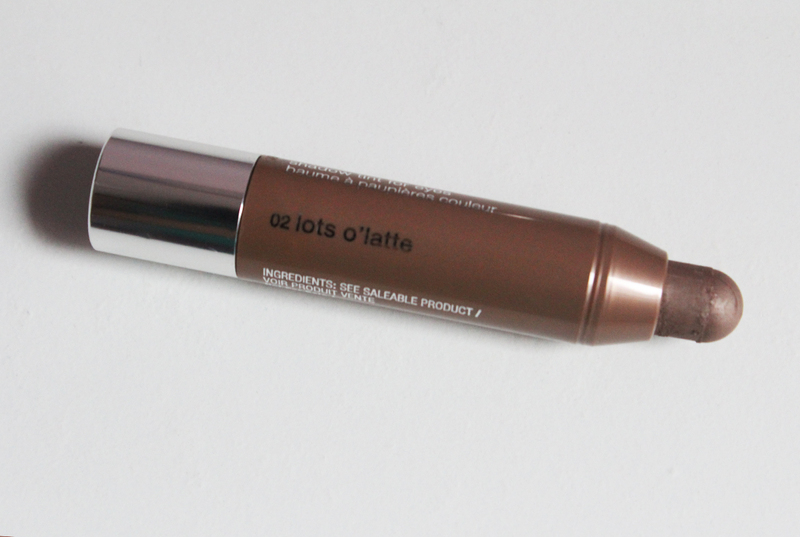 As for the free Chubby Stick, there were two shades to choose from and I ended up choosing Lots O' Latte because it looked like a very wearable taupey brown. The full size product is $17 for .1 oz which is pretty affordable compared to the Laura Mercier Caviar Eyeshadow Sticks which are $29 for .05 oz. The Chubby Stick sample is small but it contains enough product to give me a good idea of how much I like the product. 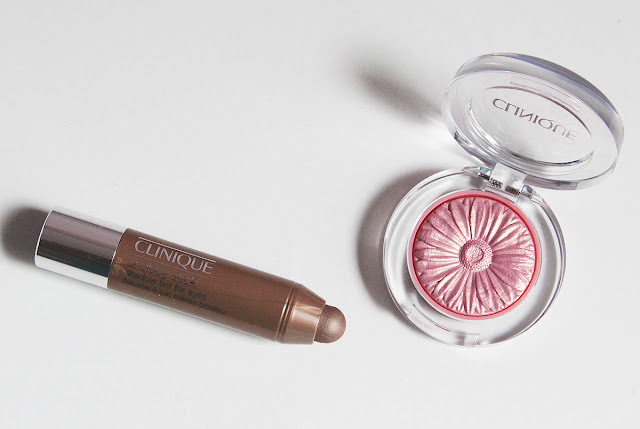 While I love the Clinique Lid Pop in Petal Pop and would recommend it to those who are looking for a beautiful golden pink eyeshadow, I'd say pass on the Chubby Stick in Lots O' Latte. The formula is not as creamy and smooth as the other cream shadow sticks in my collection and the color itself is kind of dull. I'm thinking it might be more appealing to those with more mature eyelids and don't want a lot of shimmery but even then, I think you're better off with something like Laura Mercier's Caviar Stick in Rose Gold. The chubby nature of the eyeshadow also makes it a bit awkward to apply and hard to control if you have smaller eyelids. All in all, I'm really pleased with the Clinique Lip Pop Eyeshadow in Petal Pop and I'm tempted to get Cream Pop as well. 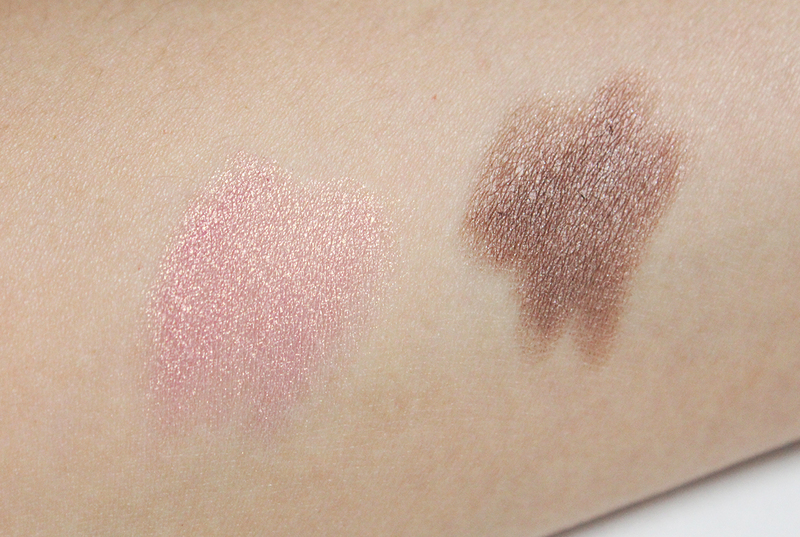 I definitely have the blushes on my radar because I've yet to hear a bad review on them. Meanwhile, I've not had good luck with the Chubby Sticks for lips or eyes at this point so I'm steering clear of those in the future. Do you use any Clinique makeup? What are your favorites from the brand?